Portrait of a young person looking at the camera. Obama made being a community organizer seem like one of the most meaningful jobs in the world. For the past 8 years, I’ve been a part of nonprofits in the Southeast and the Pacific Northwest, often being employed as an organizer. Despite warnings of notoriously low nonprofit salaries, I entered this field for a chance to live out my Black queer feminist values. Although I sometimes grow weary of nonprofits, I don’t regret my decision to work at them. This work has taught me important lessons about the world around me and about myself. The relationships I’ve established at nonprofits are priceless, and I feel like I’m better because of them. At nonprofits, I’ve experienced the beauty of bringing community members together to achieve a common vision. I’ve also been a part of victorious organizing campaigns that convinced me that another world is possible, one where oppression has no place to flourish. Some of my most cherished moments have been at nonprofits, but unfortunately, I’ve also felt dehumanized and devalued by them. They can be hostile workplaces for People of Color (POC) due to the impacts of the nonprofit industrial complex (NPIC). The NPIC is a system of relationships between the State, the owning classes, foundations, and nonprofit and social justice organizations that results in the surveillance, control, derailment, and everyday management of political movements, according to INCITE! Women, Gender Non-Conforming, and Trans people of Color* Against Violence. The NPIC is designed to exploit POC while enriching the pockets of middle-class and wealthy white folks. According to Community Wealth Partners and the Annie Casey Foundation, only 18 percent of nonprofit employees are POC, which is proof of how entrenched in white supremacy the NPIC is. This industrial complex dilutes grassroots POC movements by funding white-led nonprofits to solve social issues while starving POC organizations of resources. Black liberation movements of the 60s and 70s, such as the Black Panther Party, were severely weakened by the NPIC. It makes nonprofits extremely difficult to navigate for POC and other historically oppressed groups. Feeling the effects of the NPIC made me question whether I could be in this field for the long haul. I worked at nonprofits where I thought my job was to create social change, but I was actually just a token hire expected to uphold the status quo. At these organizations, my voice was silenced as a working-class Black queer non-binary woman, while middle-class, cisgender heterosexual white managers decided what our underserved constituents needed. When advocating for better conditions for myself and co-workers of color, such as livable wages and mandatory anti-oppression training for staff, I’ve been penalized more often than not. It’s been tough to suffer these injustices at places that claim to adhere to social justice. In the past, when I experienced harm at nonprofits, I questioned whether they were a necessity or an unnecessary evil. I’ve come to believe that despite their flaws, nonprofits play an essential role in our current society, especially ones led by POC and other groups on the margins. Perhaps, one day, nonprofits won’t serve a purpose because everyone will have equitable access to what they need to thrive. However, this will require all systems of oppression to be eradicated, which isn’t bound to happen anytime soon. Thus, now isn’t the time to abandon nonprofits–now is the time to decolonize them. To me, decolonizing nonprofits means transforming them from sites of isolation and trauma for POC employees into spaces where we can find healing and liberation. Lately, I’ve been thinking of concrete ways to decolonize nonprofits (both POC-led and white-led) for staff, board members, volunteers, and/or members. I’ve offered three strategies below to help us all begin decolonizing our practices. I hope they resonate with you, especially if you too are a nonprofit worker of color. Most of my nonprofit jobs have paid less than a living wage and provided few to no benefits. Many talented POC have had our labor exploited by nonprofits. We’ve been brainwashed to believe that we don’t deserve comfortable lives since we work for the public good. I don’t believe this; even though nonprofits aren’t intended to create profit, the labor it takes to run them is real and deserves to be compensated as such. Often nonprofits don’t pay well because they don’t know when their funding will dry up, which is a valid concern. However, this phenomenon can also be attributed to a culture of scarcity that persists at nonprofits where board and staff become complacent with not having enough resources. This ultimately hurts employees of color the most. It may sound naive to advocate for a culture of abundance at nonprofits, but we must believe in our abilities to raise enough money to adequately honor our labor. We must also believe in our right to be justly compensated, especially when we’re POC, queer, trans, and/or disabled workers. I’m optimistic yet realistic, so I realize that sometimes nonprofits simply can’t pay living wages due to lack of funding. Foundations and governments intentionally create barriers to funding, which is why POC-led organizations are chronically underfunded. Most grantors want nonprofits to have 501(c)(3) status from the IRS, which requires a costly and lengthy application process. Once a nonprofit gets their 501(c)(3) status, it takes a lot of resources to maintain it that many small nonprofits simply don’t have. Moreover, according to Grantmakers for Effective Organizations, only 25% of foundation grants go towards general operations, which is usually the part of a nonprofit’s budget that pays for staff salaries. Rather than funding general operations that are essential to keeping a nonprofit’s doors open, foundations often require grant applicants to propose elaborate programs that align with their whitewashed theories of change. These applications require time and resources that most POC organizations are lacking. They constrain our programming and force us to meet unrealistic benchmarks. Anti-racist nonprofits should demand that grantors move away from these types of white supremacist-informed grantmaking practices. When they can’t pay living wages, underfunded nonprofits can at least actively work towards this goal. One way to do this is by tapping into the abundance and strengths in their own communities by prioritizing grassroots fundraising. Nonprofit structures aren’t terribly different from corporate structures. Hierarchy exists on a nonprofit’s board and staff, and top-down decisions are often made that leave out staff and community members. This is detrimental because executive directors (EDs) and board presidents typically don’t come from the historically oppressed communities they serve and may not understand their needs. Nonprofit staff not in leadership positions are more likely to hail from marginalized communities, and our opinions are just as valuable as our managers. We have the right to be a part of major decisions at our workplaces. Strict hierarchies don’t make our nonprofits better. Having one or two central leaders make decisions for an entire community organization isn’t what equity or social justice looks like. EDs and board presidents aren’t the only ones who should feel ownership of a nonprofit. For the past three years, I’ve studied worker-owned cooperatives because I admire how their model allows each worker one vote, and everyone’s vote carries the same weight. Worker-owners operate a cooperative as a collective. Nonprofits have a lot to learn from co-ops and their collective decision-making processes. Worker co-ops, which have deep roots in communities of color, prove that democratic workplaces can be a functional thing. One way that nonprofits can move towards collectivism is by bridging the gap between board and staff and allowing them to hear from each other on a regular basis. Staff besides the ED should be able to inform board decisions since we’re the most familiar with a nonprofit’s day-to-day operations. If nonprofits feel like they can’t accomplish their work without hierarchy, their leadership should at least represent those who are most impacted by systemic oppression. Nonprofits can’t be at their most effective when they’re not led by communities who access their programs and services. When harm takes place, nonprofit employees, board members, volunteers, and members should be accountable to the community and to each other. It’s inevitable that harm will occur at nonprofits because interpersonal relationships are never perfect, no matter how hard we work at them. During the era of #MeToo, we can’t ignore that emotional, physical, and sexual abuse occur at nonprofits. 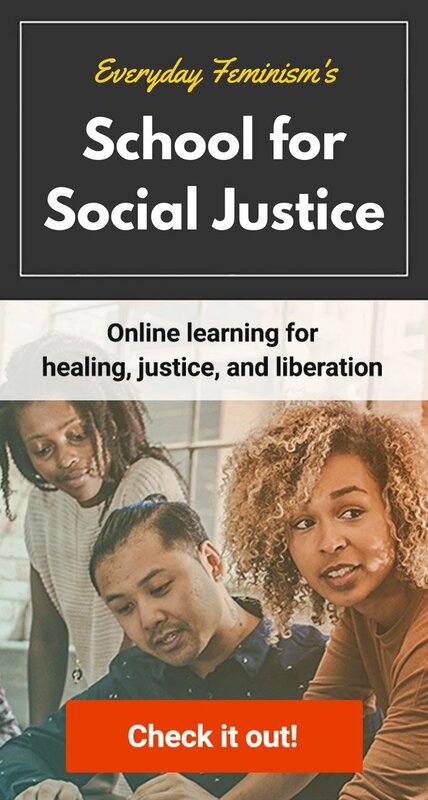 Even we “social justice warriors” are capable of causing harm, and we need to know how to hold our people accountable without engaging the State. POC especially can’t rely on the State to protect us when we’re being killed by the police in unprecedented numbers. Decolonizing nonprofits means seeking accountability when violence happens within our organizations in ways that don’t engage our punitive justice system. It means people who experience violence within nonprofits are able to determine what justice looks like for themselves alongside trusted advocates and community members. Furthermore, it means nonprofit workplaces believing and supporting survivors while simultaneously dismantling the oppressive systems that cause people to harm. All nonprofits, not just anti-violence organizations, should be doing the work of ending interpersonal violence. It’s our duty to model what community-led justice looks like for the rest of the world. As INCITE! says, “the revolution starts at home,” meaning our movements can’t possibly change the world if we don’t address the harm happening in our own backyards first. Despite my critiques of nonprofits, I’ll probably always be involved in them in some way. I’ve dedicated too much time, creativity, energy, and labor to them to give up now. To keep myself motivated in this field, I follow the revolutionary work of Black women and trans and queer-led nonprofits, such as Sister Song Women of Color Reproductive Justice Collective (Atlanta), Southerners On New Ground (Atlanta), SPARK Reproductive Justice Now (Atlanta), and Women With A Vision (New Orleans). I have so much to learn about how they thrive in spite of the NPIC, and I’m curious whether they have their own decolonization strategies. Currently, I’m invested in decolonizing nonprofits in Seattle as a fellow at Rainier Valley Corps, a POC-led capacity building organization; the Operations Manager at Families Of Color Seattle, a WOC-led organization that connects parents of children of color to parenting programs and resources; and a worker-owner at Carolyn Peruth Coaching & Consulting, a queer and non-binary POC-owned worker cooperative that, among other services, works with nonprofits to develop and implement anti-racist, intersectional feminist practices. As you can probably tell, I’m unapologetically vocal about my desire to decolonize nonprofits, and I’m always looking for new comrades. Now that you’ve read my strategies, won’t you decolonize nonprofits with me? 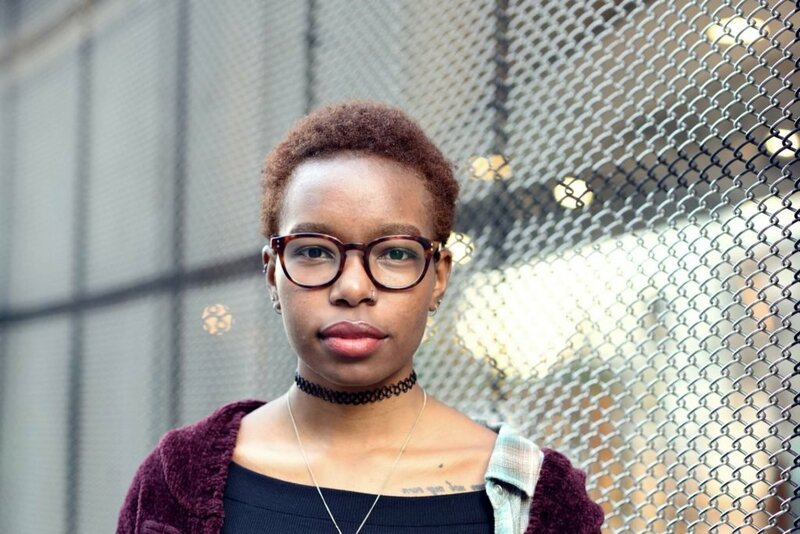 Neesha Powell-Twagirumukiza (she & they pronouns) is a former Everyday Feminism Reporting Fellow. Neesha identifies as an intersectional feminist, womanist, writer, community organizer, facilitator, dancer, freedom fighter, wife, and cat mama. She’s constantly conspiring in the name of liberated Black futures, queer and trans people of color power, solidarity economics, and transformative justice/community accountability. Neesha’s based in a suburb south of Seattle, where she lives, loves, and creates with chosen family.